Roomy, very spatious for Paris standards. Clean. Hosts are kind. Complementary bottle of water. Excellent accueil ! Chambres impeccables !Good value for money! My friends were happy! Location was pretty good. It's in zone 2, so it's cheaper than Paris centre. Room was quiet altough poor. Very close to public transportation (bus stop in front of building, metro station across the road). People at the reception (especially the lady) were nice and helpful. Neighborhood is very walkable (even as late as 11 pm). L'emplacement, très pratique. L'autonomie pour les clients. L'espace dans la chambre. 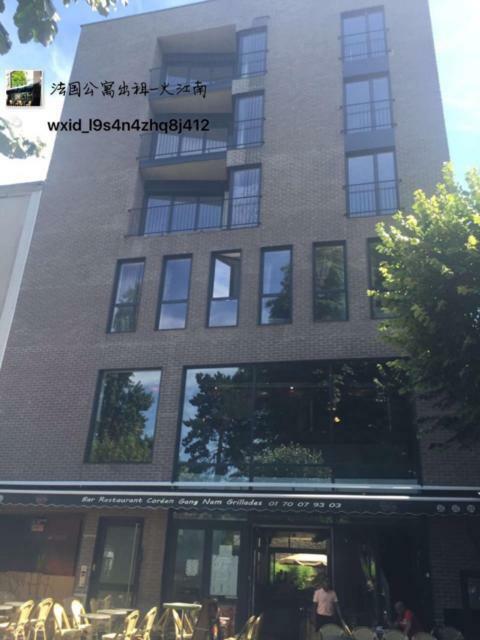 L'hôtel bénéficie d'une bonne situation, dans le centre-ville de Montreuil, à 2 pas du Métro Mairie de Montreuil (ligne 9). C'est très pratique pour aller visiter Paris. 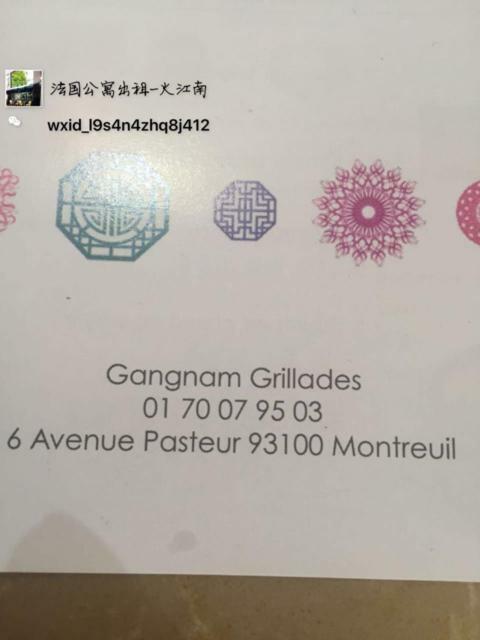 Le quartier est calme et agréable. 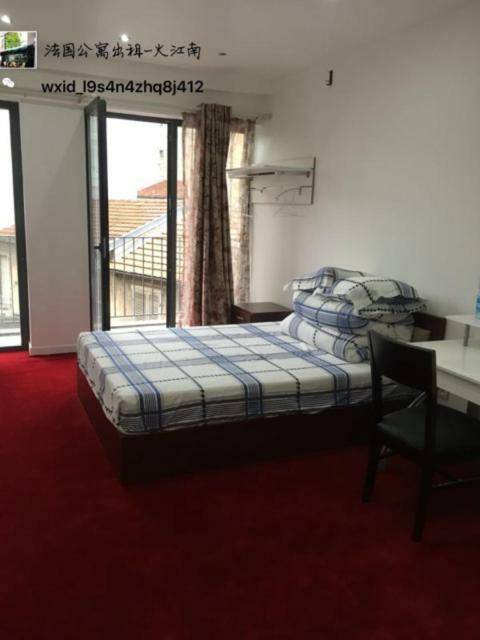 La chambre est spacieuse et claire et les matériaux sont de qualité (moquette, carrelage...). pas pris de petit déjeuner mais dîner au restaurant, un délice. 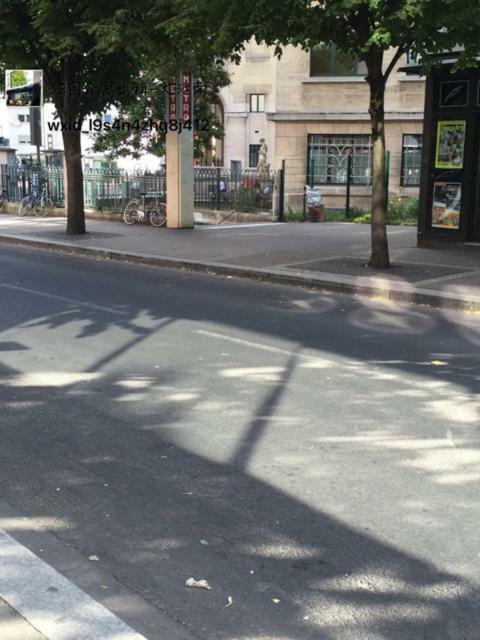 Emplacement très bien, juste à traverser la route après la sortie du métro. Accueil chaleureux. proximité de l'endroit où avait lieu ma formation et proximité du métro, ascenseur, amabilité des propriétaires, draps propres, ménage correct, bouteille et gobelet et bouilloire dans la chambre, calme malgré la situation. One of our best sellers in Montreuil! Set in Montreuil, Appartement Pasteur offers direct access to Paris using public transportation. 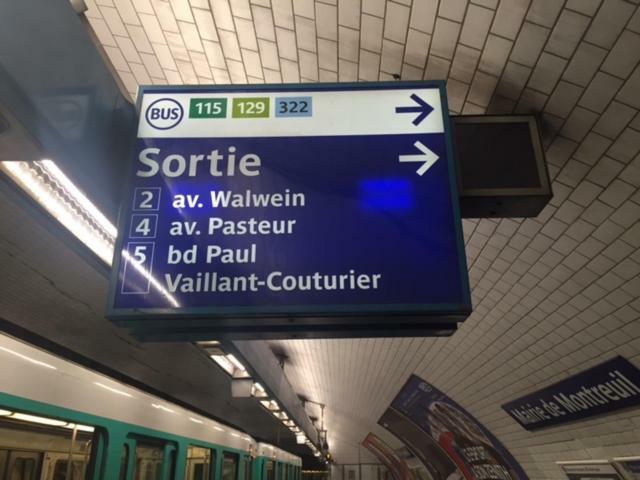 The Mairie de Montreuil Metro Station is located a 2-minute walk from the property, while the Cityscope business building is a 4-minute walk from Appartement Pasteur. Free WiFi is provided. The bathroom features a toilet, hairdryer and towels. Guests can also enjoy a meal at the Korean restaurant downstairs at a reduced price under certain conditions. 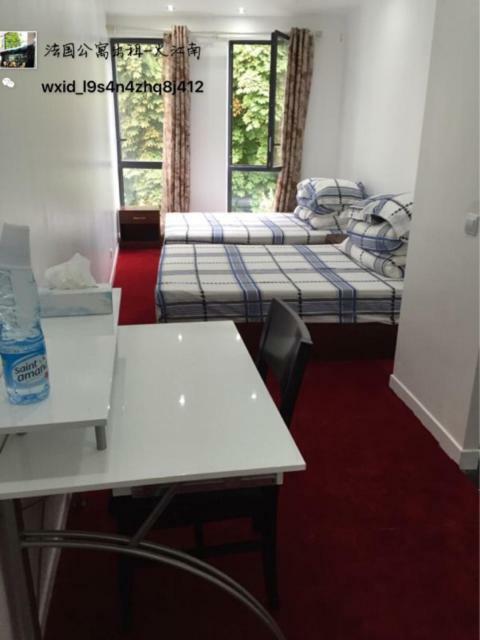 The property is 3.1 mi from Paris,Marne-la-Vallée is 9.9 mi from Appartement Pasteur. The nearest airport is Paris - Orly Airport, 13 mi from the property. When would you like to stay at Chambres Pasteur? House Rules Chambres Pasteur takes special requests – add in the next step! Please note that key collection is at Gangnam Grillades restaurant in Montreuil. Please note that this property is not suitable for disabled guests. Please inform Chambres Pasteur of your expected arrival time in advance. You can use the Special Requests box when booking, or contact the property directly using the contact details in your confirmation. Please note that check-in and key collection take place at: 6 AVENUE PASTEUR DANS LE BAR-RESTAURANT, MONTREUIL 93100. The matress was hard. The moquette was stained. Ceiling had some light fixures missing (with wires hanging down from it). A/C was under construction (with a big hole in the ceiling without a grill cover). Building entrance was unfinished (only the façade, which kind of tricks you). No hand soap in bathroom. No basket in room (for rubbish). We've stayed there before and our previous stay was better because they took more care of the cleaning. In four days they didn't remove the rubbish from the bathroom and I noticed they didn't vacuum the floor. The entrance to the hotel wasn't visible and only described in the small notes in the reservation. There's no hall but you have to go the chashier of the Japanese restaurant There were unfinished decorating job all across the hotel, however nothing was missing apart from the heating system which was through a standalone heater attached to the power plug that you need to move to heat the bathroom. No rails for towels in shower room. No mirror in bedroom. 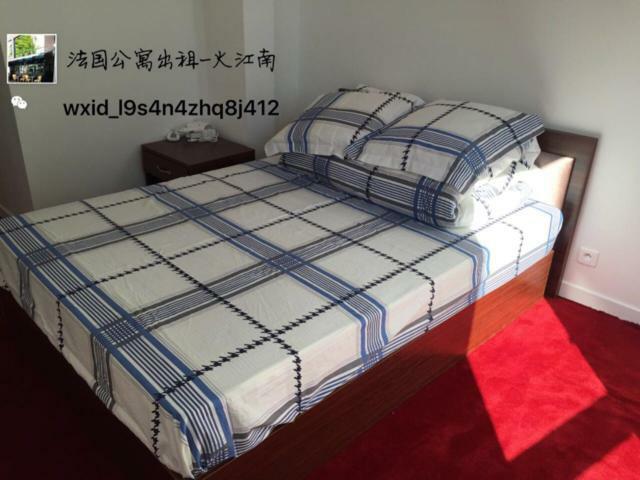 Very clean rooms and bed linen. Towels provided. It is absolutely what it is called: a room with own bathroom. only amenity is an electric water kettle. Furnishings are basic: curtains, wire hangers on a couple of coatracks. Towels, soap and shampoo are provided. If this is all you need, it's fine. The comment from Sept 2016, that the entrance is unfinished (still smells like fresh concrete), still applies 12 months later. 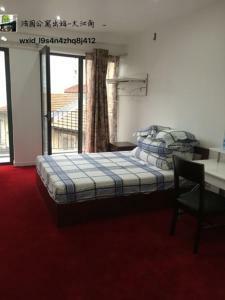 It is convenient and in a very reasonable neighborhood, very much near Metro, but you may find a basic hotel in the same price range.